Is 1 of these 3 reasons why you’re not generating the revenue you desire in your coaching business? Share the broadcast/Tag a coach. Join my FB group, Highly Success Christian Female Coaches and Consultants. Ready for Consistent Clients and Revenue in Your Coaching Business? 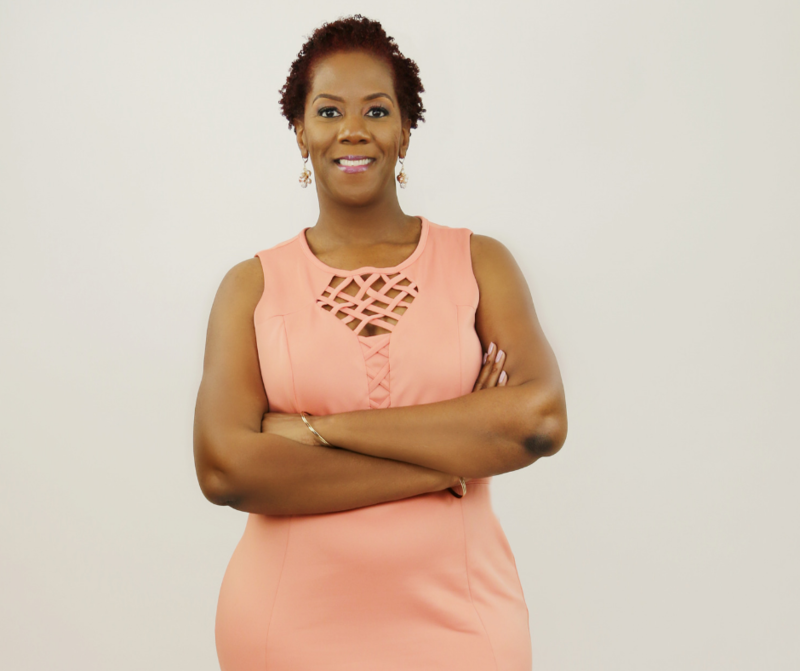 Beverly Walthour is a TV & Radio Show Host and Business Strategist for Christian female coaches. She helps them create more INCOME & IMPACT. Her coaching clients generate their next 4-figures in 3 days and 5-figures in 30-60 days! Yes! Knowing your worth ?? Oh let me be delete my post lol. 5k is closed!!??? There is a reason for the pay to speak arena. I post open ended questions to generate leads each day! I have 2 options with my current intensive that’s it. Wow Monique that’s amazing for a weekend!! Truth!!! You would think if you didn’t have the money you would be quiet! Good point, that box of chocolates is not for everyone. That box of chocolate ? Very true, be care who you follow, who coaches you and what you say to your clients. Putting “getting a speaking gig” out into the universe! Watch me now! Better stalker than stalkee ? I felt like a stalker ? So when you say screening call you mean like a zoom call? Bev..do you have a target conversion rate? And I’m about being me! I’ll have to find another one in the area… but the one I went to went in on my accent. lol.. you got it… that would be out of my comfort zone and have gone to toastmasters…unfortunately, the one I have access would set me back..
Trina what do you speak on? Trena have you ever tried Toastmasters? I’m baffled about these pay to play speaking engagements though ? So true! They value shouldn’t be in question! And they sound just like that too…LOL!! You telling the truth ?
? i’mma talk to my momma! 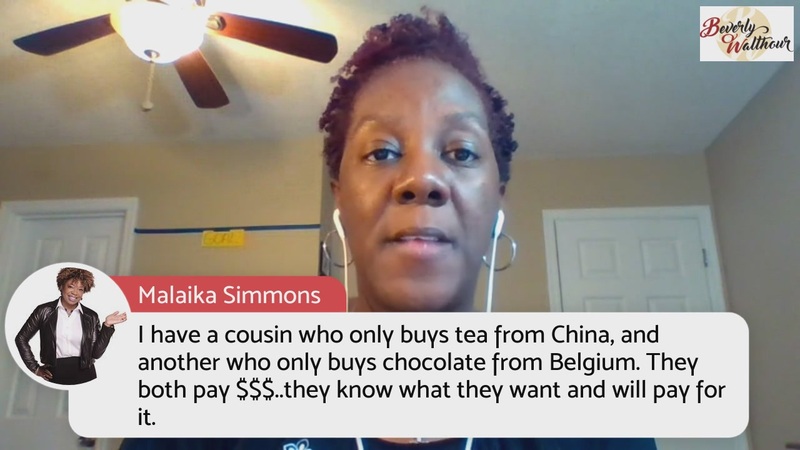 I have a cousin who only buys tea from China, and another who only buys chocolate from Belgium. They both pay $$$..they know what they want and will pay for it. Did you get some $300 chocolate?! ? Hey Beverly ? Ejay from Australia ❤️❤️?? As a TV & Radio Show Host and Business Strategist for Christian female coaches, I help you create more INCOME & IMPACT. My coaching clients generate their next 4-figures in 3 days and 5-figures in 30-60 days! What Type of Coach Are You? Take my fun quiz today! If you’re not generating revenue in your coaching business from your Live Streams, then you need to join me tonight!